Owners and CEOs of small and middle market companies should always consider engaging an investment banker when pursuing a major transaction, such as selling their company, making acquisitions or divestitures, or going public. Similarly, these companies should consider bringing in outside operational assistance when developing strategic plans, evaluating potential strategic alternatives, or raising capital. Even though they do not deal with these types of transactions every day, however, many CEOs believe that they and their staffs already possess the necessary skills and resources to solve many of these challenges alone. Most hope to save the costs of bringing in outside expert assistance and do not appreciate the missed opportunity costs of poor deal terms, missed tax benefits or potential contingent liabilities. As a business owner and longtime corporate CEO, I have learned from experience that companies should be very careful about taking on any of these complex processes without the advice and guidance of an experienced investment banker, like Commenda Capital. For most companies, a decision to go it alone will ultimately prove to be penny wise and pound foolish. During my thirteen years as Chairman/CEO of Servidyne, Inc, a diversified publicly-traded micro-cap company, we successfully deleveraged and strategically repositioned our 85-year old business by engaging in a series of divestitures, asset sales and M&A transactions, leading to the ultimate sale of the company to a strategic buyer in an all-cash transaction. We had a talented and experienced internal management team at Servidyne, but we did not (and could not) achieve this success alone. Throughout my tenure as CEO, I worked closely with an outside investment banker, who brought our company invaluable expertise and market insights, and was a critical part of each milestone we achieved. Initially our banker helped me conduct a detailed review of the business and operations of each of our operating subsidiaries along with consideration of general economic trends, capital markets valuation expectations, and the business and operating prospects for the company. Although the company had just completed a year with record revenues, our profit margins were shrinking, our balance sheet was highly leveraged, and our stock price continuously underperformed the market during the preceding decade. With the guidance of our outside advisor, the deliberative strategic review we conducted led us to conclude that in the foreseeable future, the total economic asset value of our company, as it then existed, was not likely to ever be fully reflected in the share price of the company’s publicly traded securities. We concluded that without major structural and strategic changes, management would be unable to meet its primary obligation of maximizing shareholder value. Accordingly, over the next decade, with an outside investment banker advising our management team and board of directors along each step of the way, we successfully “reinvented” our company. These steps included 1) exiting from two legacy businesses, 2) a dramatic deleveraging of our balance sheet, and 3) the acquisition of five small companies that we integrated to form a new higher margin operating platform. Our new business grew rapidly, and ultimately, with the support of a knowledgeable and experienced investment banker like Commenda, we successfully sold our company to a Silicon Valley-based strategic buyer at a favorable valuation for our shareholders. Selling a small or middle market company requires a broad range of contacts, skills and abilities. 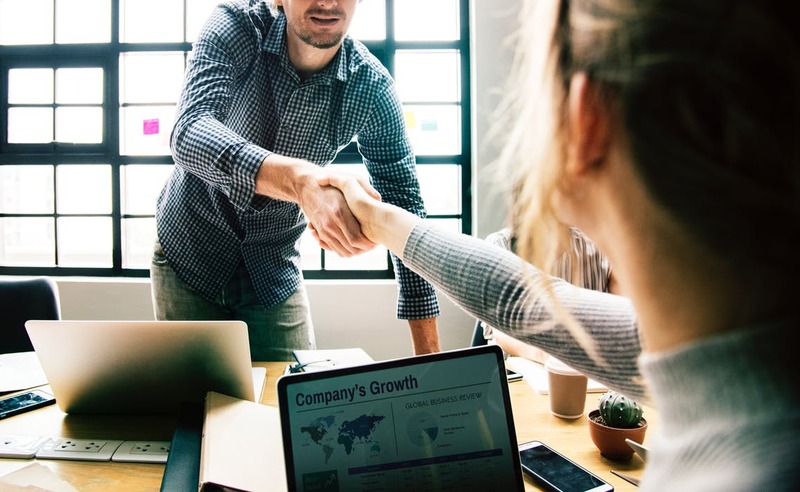 They include specialized industry expertise, a very large time commitment, and extensive industry contacts, as well as a proven track record of successful negotiations and getting deals done. I know from firsthand experience the many ways that top drawer investment bankers like Commenda can add real value to small and middle market companies. 8) Negotiate the financing structure and terms of the sales agreement. Our company generated a high ROI on the success fees that we paid to our investment bankers, because they enabled us to successfully close the sale of our company at the highest possible price and allowed me and my management team throughout the extended sales process to focus on what we did best – successfully running our business. Raising capital is a critical step for fast growing businesses, but a company looking to complete a capital raise on its own may miss important aspects of a good transaction. An effective capital raise is not just measured by maximizing the funds generated, but also by achieving the optimal transaction structure and efficient terms, as well as completing a deal with a financial partner, like Commenda, that can continue to provide capital as well as other ongoing operational support well into the future. This dual service offering makes Commenda unique and is one the many reasons I am excited to now be part of the Commenda team. Commenda specializes in advising companies through the capital raise or sale process in order to find the right buyers and/or investors for your business. Commenda has a deep domain understanding of the sectors and clients they serve, and this makes Commenda uniquely positioned to understand your company’s intangible value more effectively, so they can articulate your company’s industry-specific strengths to capital providers. Experienced investment bankers like Commenda Capital level the playing field in the complex and inefficient capital markets for small and middle market companies, in the same way that great attorneys do in legal matters. So, take my advice: do not appear in court without your lawyer, and do not go in empty handed when raising capital or selling your business!